Welcome to this week's edition of The Name Game. 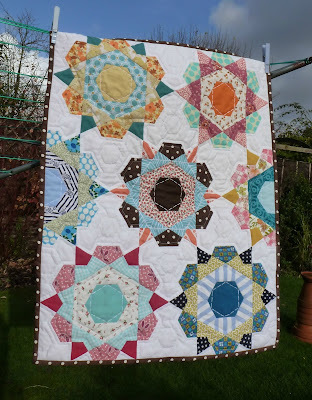 So back in 2013, I had sent an invitation to Clare from selfsewn to play along. She responded with answers to all the questions and sent some beautiful pictures. I put all her information in an email folder. I'm not sure what happened. 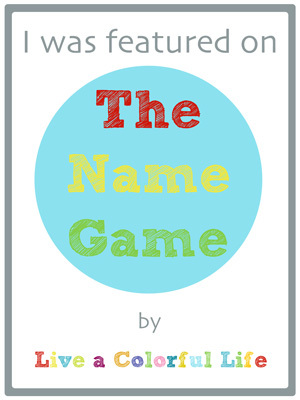 It's not that I lost interest in The Name Game, because I find it all so fascinating, but for whatever reason, I stopped writing the series. When I decided to bring the series back, I opened up my email folder. Imagine my horror when I found not only all of Clare's information, but also M-R Charbonneau's from Quilt Matters! So embarrassing. I contacted them both, with huge apologies. And they both graciously agreed to play along, and revise their original posts. Whew! Welcome, Clare. Thanks for giving me a second chance. And an opportunity to share your beautiful work. My goal when choosing a name was to link my love for sewing with my love for gardening. I like 'play on words' that when said aloud can have more than one meaning. Selfsewn or selfsown is a term used in gardening and sewing, a match made in heaven! which is also often the case with selfsown seedlings in the garden. With something selfsewn/selfsown you never know what you are going to get! Were there other names you considered, and can you share them with us? I have been blogging for quite awhile, my first blog was called summerfete which I loved,however I began to sell crafts at Christmas fairs and the name no longer fit. Blogs, like people evolve over time. I began calling myself summerfete...my selfsewn life, which was sweet but lead to all kinds of confusion. So I took the plunge and began a new blog with my new name. Now that you are known by selfsewn, are you happy with it, or do you wish you could change it to something else? Thanks for being here this week, Clare! You can follow Clare's beautiful quilting adventures on her blog and on Instagram at @selfsewn. Glad you found this, she has a great take on it all and lovely quilts to share, too! It was so much fun to meet Clare. Her work is gorgeous. I love how she incorporates both of her loves in her name. Thank you for this Cindy. I've been following Clare on Instagram because she's making la passacaglia. I really admire the way in which she has been brave enough to deviate from the pattern and continue with her own design. I'm interested to see what she ends up with. Thanks for sharing Clare. Fun to meet another quilter--with her beautiful quilts!! That is a great story! Thank you for sharing. Clare is one of my big quilting idols. She makes the most wonderful pieces of art. Such a lovely story! Clare’s quilts really speak to me! Love reading these stories. Fun to know how things get started. I love the play on words she used to create the name of her blog! And her quilts are just as lovely as the flowers you'd find in a garden! It's nice to learn more about Clare! I follow her on Instagram and love her creativity!